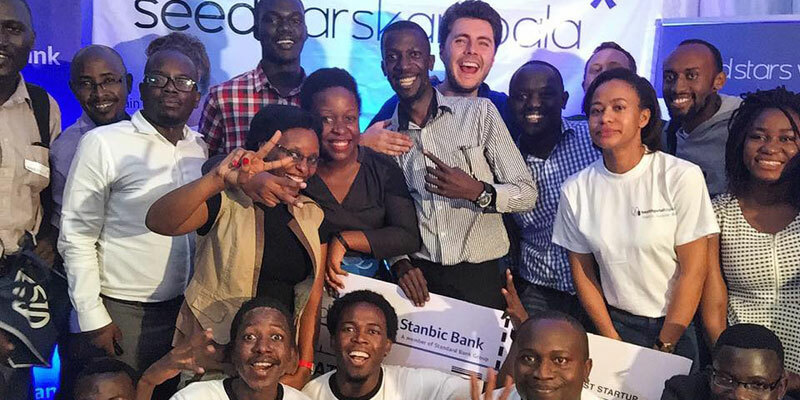 Emerging markets startup competition Seedstars yesterday announced it would launch a $100-million fund to invest in African startups in collaboration with New York based First Growth Ventures. The announcement was made yesterday by Seedstars World chief financial officer Charlie Graham-Brown at the Seedstars Summit which is being held today at the SwissTech Convention Centre in Lausanne, Switzerland. “The strategy that we’re developing now and have started working on, is to have a fund per region of around $100-million to be able to do deals in Series-A and Series-B,” Seedstars World chief financial officer Charlie Graham-Brown announced yesterday. The fund in Africa will be Seedstars first such regional fund. The organisation did not reveal when the fund would begin investing or any further details, such as the kind of startups the fund would invest in. Seedstars is no stranger to investing in startups in emerging economies. Seedstars CEO and co-founder Alisée de Tonnac (pictured above) told Ventureburn yesterday that since the organisation’s inception in 2013, Seedstars has invested in ticket sizes of between $50 000 and $500 000 in 40 companies so far. Four of these startups were set up by Seedstars itself through its venture building team in Nigeria that focuses on the fintech sector and a further four were venture built by the organisation in Ivory Coast that focuses on edtech. Two of the four Nigerian companies — Lendigo and Quickcheck — are still in operation, getting funding and doing well, said De Tonnac. Disrupt Africa said in an August 2017 report that Seedstars World had invested $311 000 in debt and $100 000 in the company in the 11 months up till then. De Tonnac said the other two Nigerian companies it built — one providing loans to Uber drivers and an insurance company — have since closed down. She said Seedstars shut the loans company because the segment in Nigeria was over-traded and required heavy management of drivers. The insurance company she said didn’t follow up with the right partnerships. In the Ivory Coast, Seedstars has also prototyped two other companies — one of which, a marketplace for tutors — didn’t work out. De Tonnac said to ensure there’s sufficient talent for the startups it builds in Nigeria, Seedstars runs an academy programme to train potential employees who can be placed in its portfolio companies. Why get involved in building companies from scratch when you can search for local startups to invest in? De Tonnac puts this down to not having a strong enough pipeline of investable businesses, but said it was also necessary for Seedstars to get involved in building companies, if the organisation was to understand the challenges that startups face in Africa. She however said a lack of investment hasn’t proved to be the main challenges in many of the startups the organisation has invested in — which is why it had recently lowered investment tickets (to $50 000 in the case of its accelerator programme). A lack of good talent and business support have proven to be more crucial, she said. The decision on which startups to choose as the winners for each of its various categories at the Seedstars Summit, is driven by which company would be best to invest in, she said. African startups last year took top honours in four of the five award categories at the summit — which she said comes down to Seedstars having come into the region in many cases at an earlier stage than other continents and therefore a more attractive investment option. Disclosure: Ventureburn is a Seedstars media partner. Ventureburn editor Stephen Timm is in Lausanne, Switzerland to attend today’s Seedstars Summit as a guest of Seedstars. The post Seedstars announces $100m fund to invest in African tech startups appeared first on Ventureburn. This entry was posted in Startup of the Day by Ventureburn.com. Bookmark the permalink.